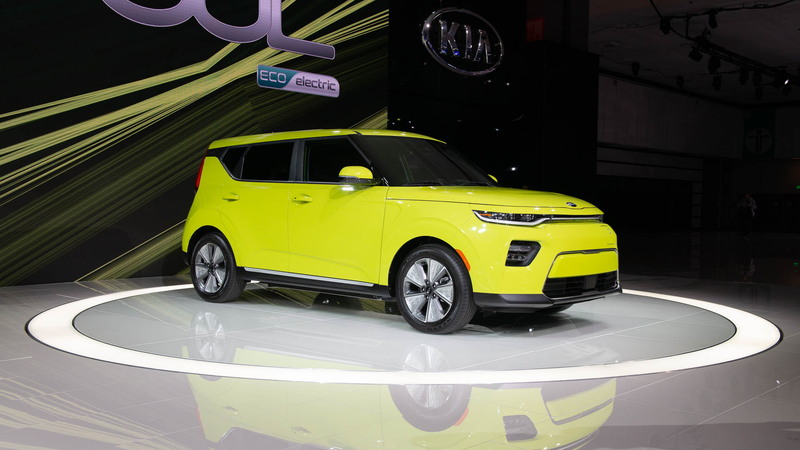 A new generation of the Kia Soul was revealed on Wednesday at the 2018 Los Angeles auto show, and thankfully the funky look we've grown accustomed to with past versions of the Kia compact crossover SUV have been retained. 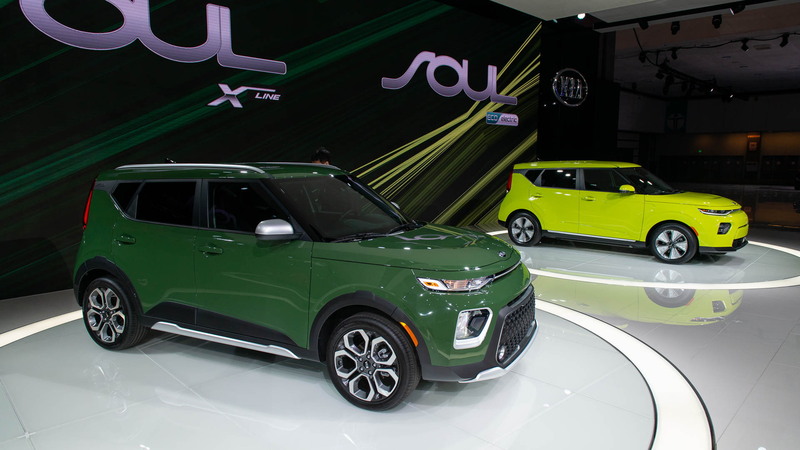 Beyond the familiar boxy shape, everything about new Soul has been renewed, including the battery-electric Soul EV which was also present in L.A. A new platform offers slightly more space thanks to a longer design, and it's also said to offer better handling characteristics thanks to increased strength and rigidity. Most models come with a 2.0-liter inline-4 generating 147 horsepower and 132 pound-feet of torque. A sporty Soul GT-Line with a 1.6-liter turbocharged inline-4 is available; it packs 201 hp and 195 lb-ft. Most models come with a CVT but the base Soul LX can be had with a 6-speed manual while the Soul GT-Line with the 1.6-liter mill comes exclusively with a 7-speed dual-clutch transmission. Drive is to the front wheels only across the range. 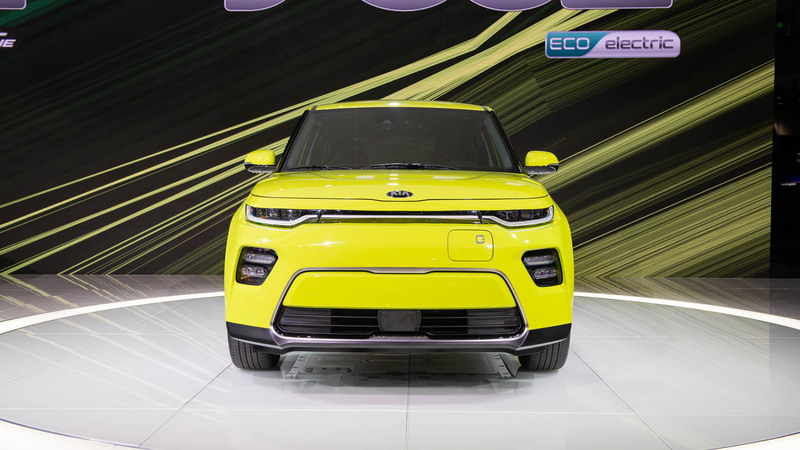 As for the Soul EV, you're looking at a 64-kilowatt-hour lithium-ion polymer battery and DC fast-charging capability. Kia hasn't mentioned a range or charge times but the same battery in the 2019 Kia Niro EV, which made its U.S. debut in L.A., has an estimated 239 miles of range. The Niro EV can also add approximately 100 miles of range in 30 minutes or an 80-percent charge in 75 minutes using a high-speed charger. 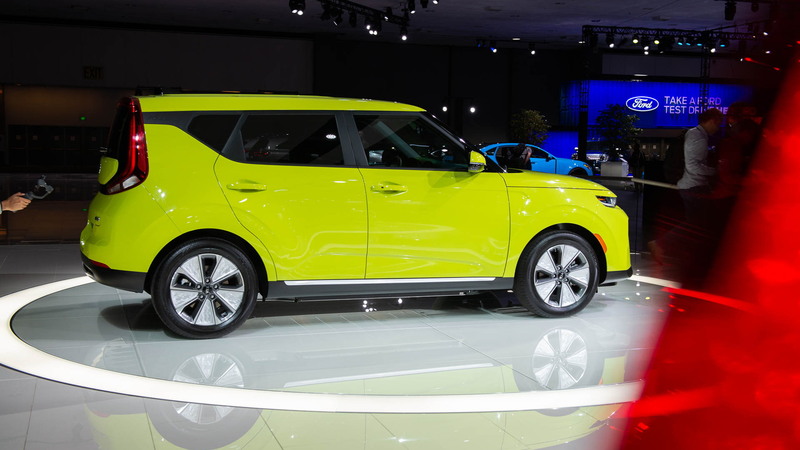 The electric motor in the Soul EV is good for 201 hp and 291 lb-ft of torque and should provide plenty of pep considering the previous Soul EV had just 210 lb-ft of torque. The new car also features four driving modes—one of them a Sport mode—that automatically adjust power output to the motor, regenerative braking, air conditioning and heating settings, and set speed limits to optimize efficiency. The driver also has three levels of play when it comes to choosing the strength of the regenerative braking via paddles behind the steering wheel. 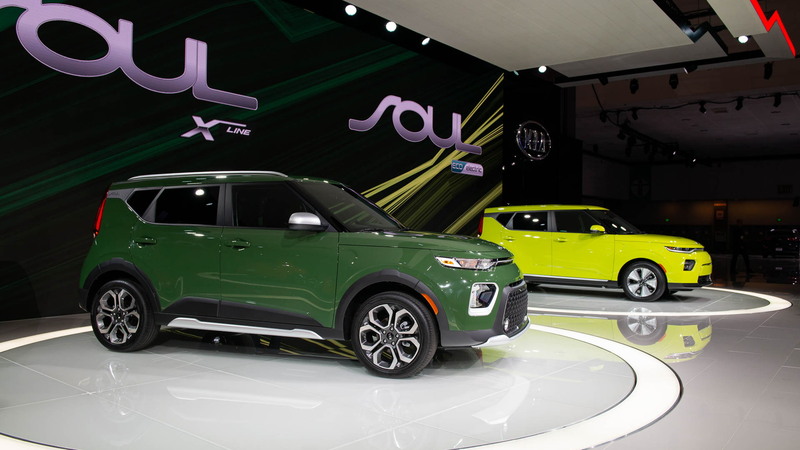 The new Soul reaches showrooms in 2019 as a 2020 model. Further details will be announced closer to the market launch.